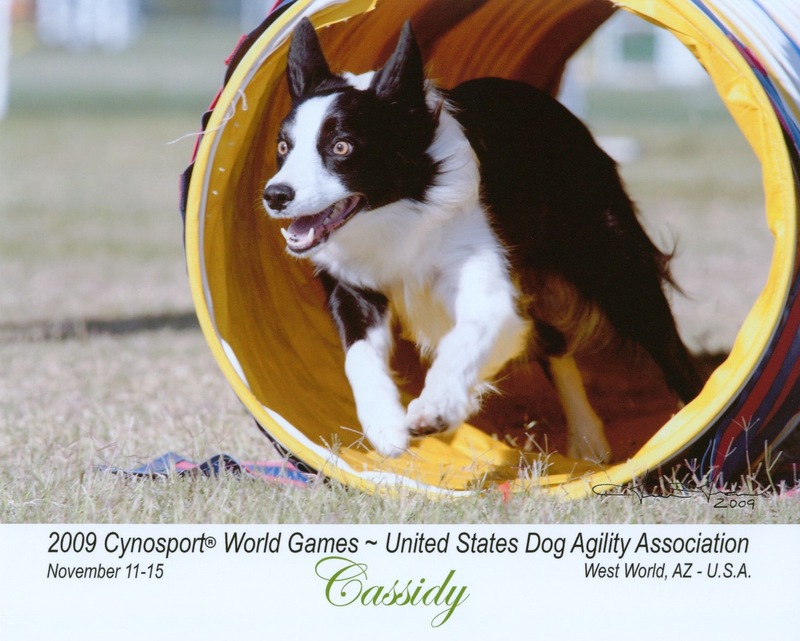 diana wilson's Blog | Training and competing with my girls, Callie and Cassidy in dog agility. I’m pleased to say that Cassidy is all qualified for USDAA Nationals, which is a relief since that was only the second USDAA trial we had done this year. Kentucky here we come???!!! Now back to working on those darn QQ’s. I was essentially feeding Cassidy last night via training tricks, due to her annoying resource guarding of her food dish. She does not like me to touch her when I feed her, so of course I do, so when she decides to growl she gets her food one kibble at a time from the mommy!! I don’t know what she was thinking but I’m sure she wasn’t please when I picked up her food dish and walked to the other room. I’ve been teaching her to wave which is going pretty well. I’ll try to get some pics later. She gets really frantic though and starts to bark when she doesn’t get it right away. She also gets a bit carried away and tries to wave with both paws at the same time. I try to keep her back from me because sometimes the wave is more of a slap but she always manages to scoot forward at the same time she waves. It’s really quite cute until she lands a paw on me! She was quite clever last night and managed to knock the scoop of food that I was balancing on my leg all over the floor. She was a bit annoyed with me however when I told her to “leave it” and she had to obey. What a good girl! I had to laugh when Callie came in from the kitchen where she had eaten her food and thought she needed to get involved. 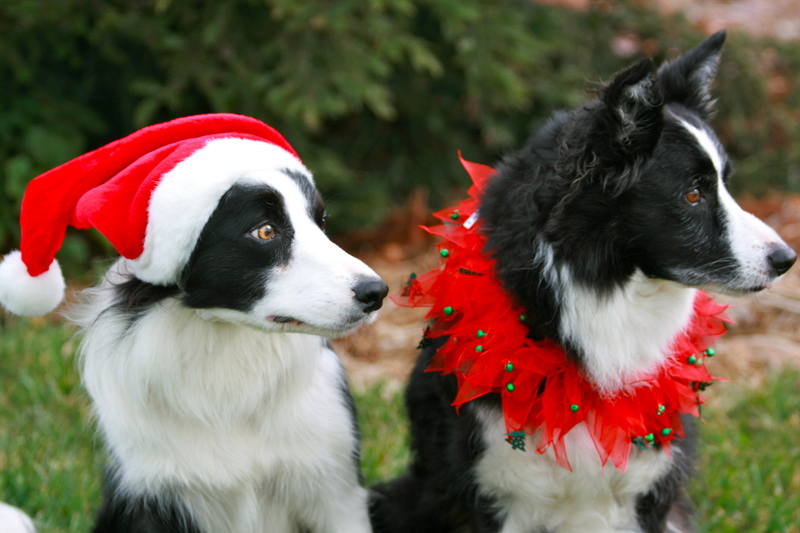 If I told Cassidy to “sit”, there was Callie sitting as well. This goes on the entire training session with sit, down, touch… Of course I snuck her a few of the kibble too, who could resist that cute little face. Class tonight was a bit frustrating for me, I seemed to be late for my positional cues more often than usual. The footing was very wet, guess that worried me some. We had a nice variety of skills worked on tonight, the 270, serpentines, rear crosses, front crosses, threadles and long lead outs. I have an hour plus drive to get to and from class so I try to think of the things discussed and practiced in class and make a mental note of the skills to focus on for the week. Tonight I listened again to the Audio CD by Lanny Bassham “Everything the Agility Competitor should know FIRST about the mental game”. I have listened to it quite a few time already but some of the thought processes that I need to change will be a work in progress for awhile. I’m also reading the book written by the same author “With Winning In Mind”. Lanny was an Olympic Champion in the 70’s and has worked with many a champion since. He has some sayings that have really stuck in my mind, one in particular, “perfection is the purest form of procrastination”. He was referring to people who don’t compete because they weren’t perfect, didn’t feel like they could win. I look forward to competing this weekend with good friends and with my best friend and team mate Cassidy.